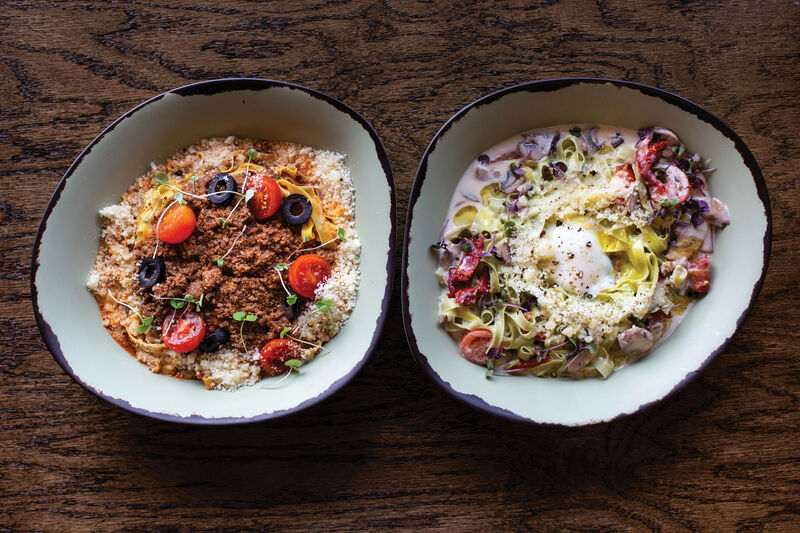 A Katy pasta purveyor sets out to redefine fast-casual. The Mona ($11.50) and a "giant meatball." There's no arguing that Katy's lines of strip malls are firmly chain restaurant territory, a morass of Chik-fil-As and Corner Bakeries. And to the casual observer, Mona Fresh Italian Food doesn't stand apart from that pack. That changes the moment the door opens to a line of tomato plants cultivated by chef-owner Sidney Degaine. The restaurant may center around a Chipotle-style assembly line, but the dining room is decorated with elegant wallpaper imported from France. Mona is a study in contrasts. The inexpensive meals go from order to table in less than five minutes, but that's only because the fresh pasta is rolled so blessedly thin that it cooks in one minute. 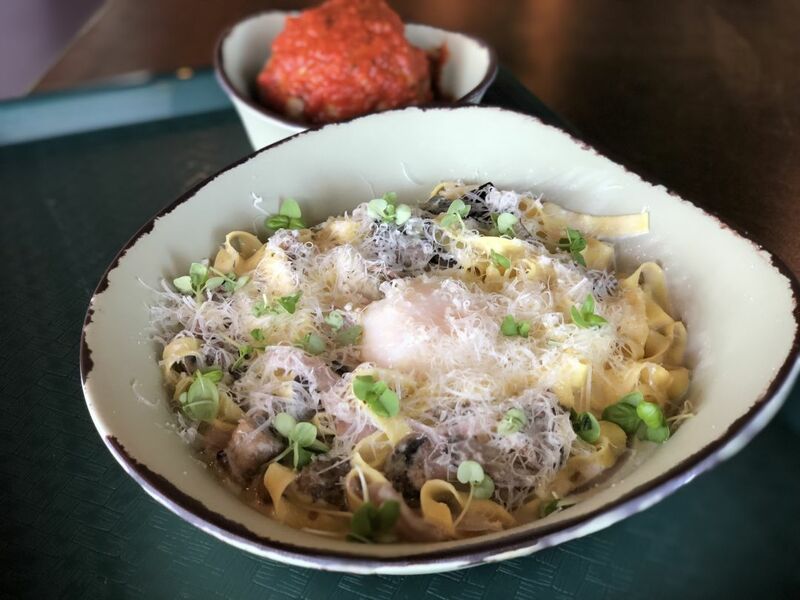 Topping out at $13.85, the fettuccine dishes are a fraction of what they would have cost at Degaine's last business, Montrose's late, great Café Azur. 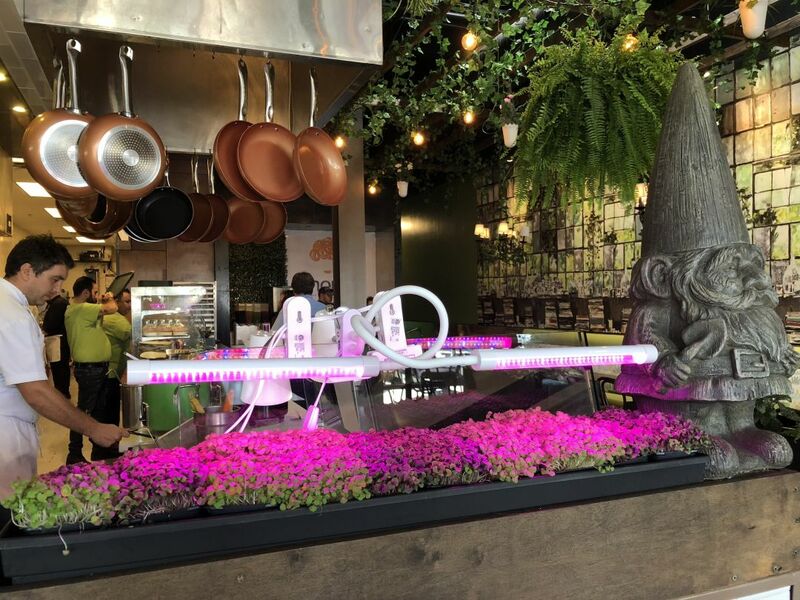 But that's mostly because of the self-service system—there's little skimping on ingredients, from the homegrown micro-basil that diners clip onto their dishes themselves, to veggies from local farms. Though guests are welcome to assemble their own pastas, piadini, and salads from the available fresh ingredients, Maria Degaine, Sidney's wife and co-owner recommended, that we try the Mona pasta, one of six prescribed options. "In the restaurant, [that dish] would be $28," she said of the days when her husband prepped enviable pasta dishes at Café Azur. "Here, it's $11.50." 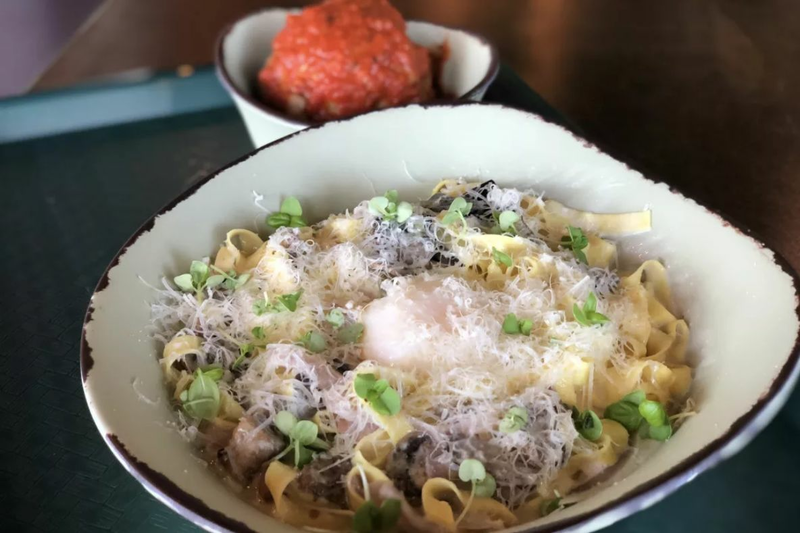 Chances are good the Mona is the only $11.50 pasta in greater Houston that centers around a sous-vide egg. On its own a "perfect egg," as the Degaines call it, costs just $2. In a pasta dish, the molten yolk quivers and bursts into its own sunny sauce. 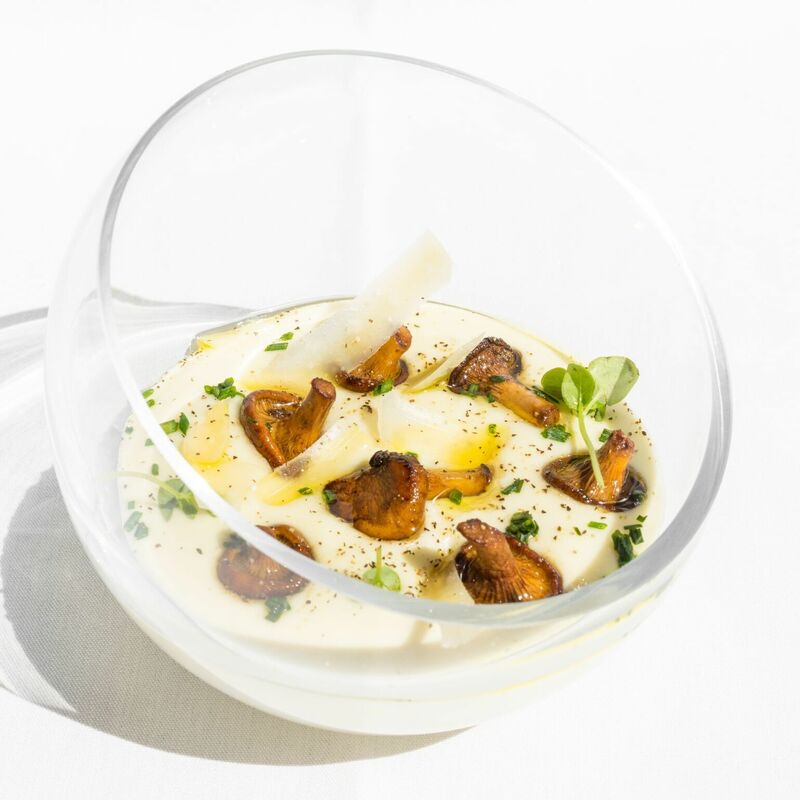 In the case of the Mona, it combines with the uncommonly light Alfredo that dresses caramelized onion, mushrooms, and Degaine's always al dente noodles. 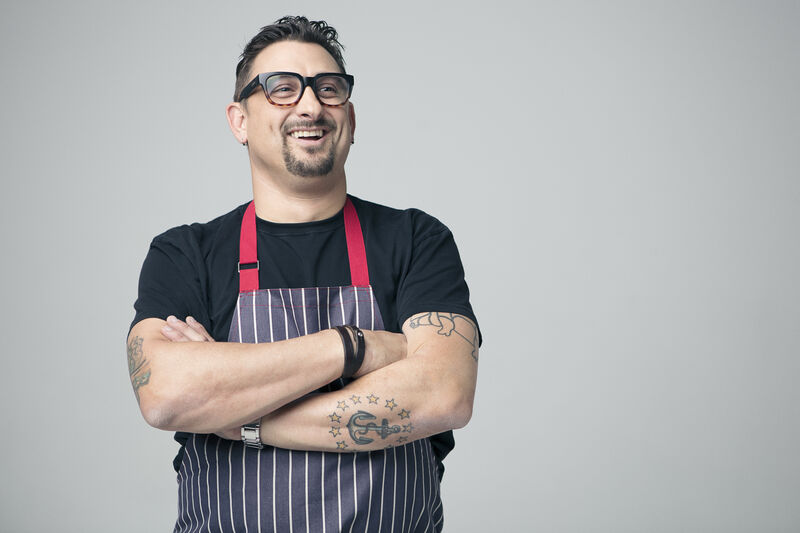 Other options on the pasta menu include a version bedecked with stewed brisket in chicken broth; a cheesy combination that combines burrata, mozzarella, Parmesan, and Gorgonzola; and the Bologna, fettuccine in classic pomodoro sauce with a giant, yielding meatball. There's also lasagne Bolognese by the slice or family-sized to take home. Plain pasta is available packed in cardboard boxes ready for diners to prepare for their families. As at the restaurant, it only needs a minute of boiling. 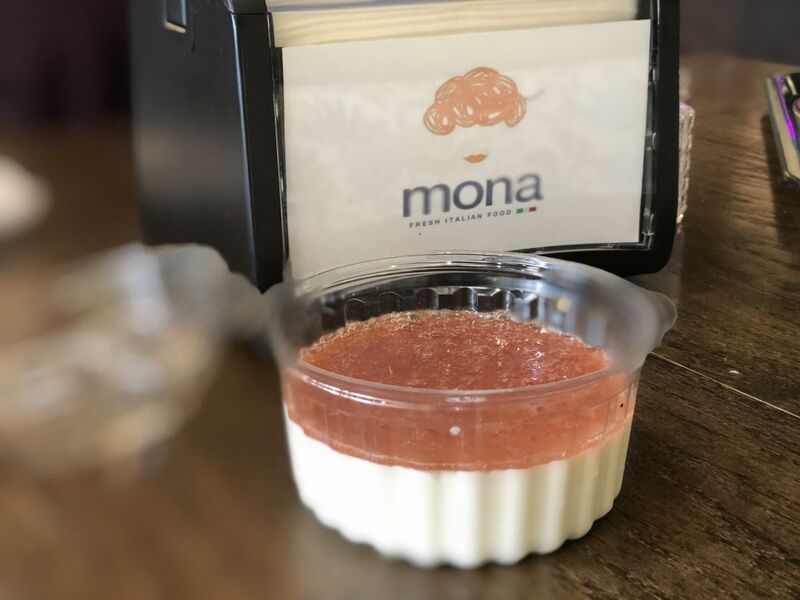 But just as we were especially impressed with Degaine's patisserie at Café Azur, our favorite bite at Mona may have been dessert. The options are tiramisu or panna cotta, in rotating flavors. The day we visited, strawberry panna cotta was irresistible. 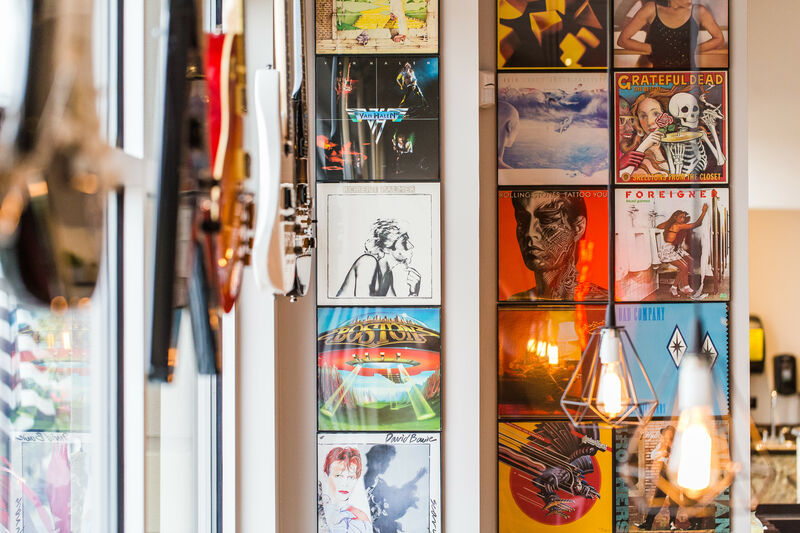 Its scintillating wiggle was what one might expect at a high-end eatery in Rome. The flavor, too, was spot-on, with a vanilla base and a layer of strawberry jam that burst with berry flavor but not too much sugar. The Degaines say that less than two weeks after opening, the restaurant has already caught on in Katy and it's not uncommon to see the same faces in for both lunch and dinner. For inner-Loopers, it's worth a trip for now. However, Mona is on its way to meet them on their own turf. The Degaines are in negotiations for a Downtown location, the second in what they hope will one day be a booming franchise. $$$ Continental, French, Mediterranean 4315 Montrose Blvd.